Absolutely The Best is nothing but a fascinating and raucous array of fun songs from the last truly unselfconscious blues moaners. The songs emphasize the wild good times and the karmic payback of surviving the rough-and-tumble life of a bluesman. 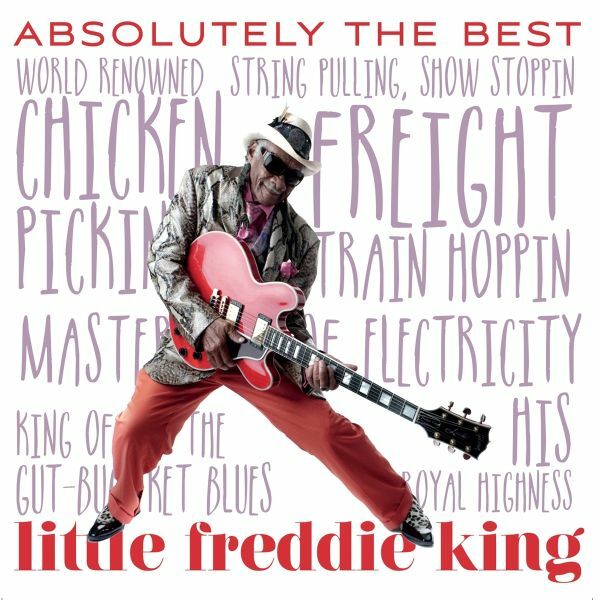 Little Freddie King is a national treasure at 79 and the last of the New Orleans blues musician still playing in the U.S and abroad. Kings music preserves the country-style delta blues as tradition and embodies a major artistic shift of the twentieth century: the rural-to-urban blues migration. His cheerfulness in the face of adversity, his commitment to community after Katrina and his boundless energy onstage are reasons why New Orleans and the World loves His Royal Highness. This compilation includes tracks from his releases in this millennium including his album on Fat Possum Records.